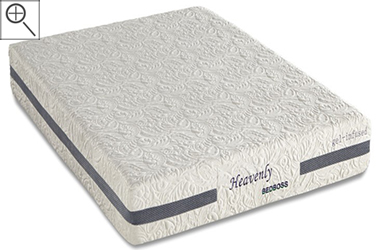 The Heavenly Hybrid w/Gel packs all of the best sleep product technology into a very affordable mattress. 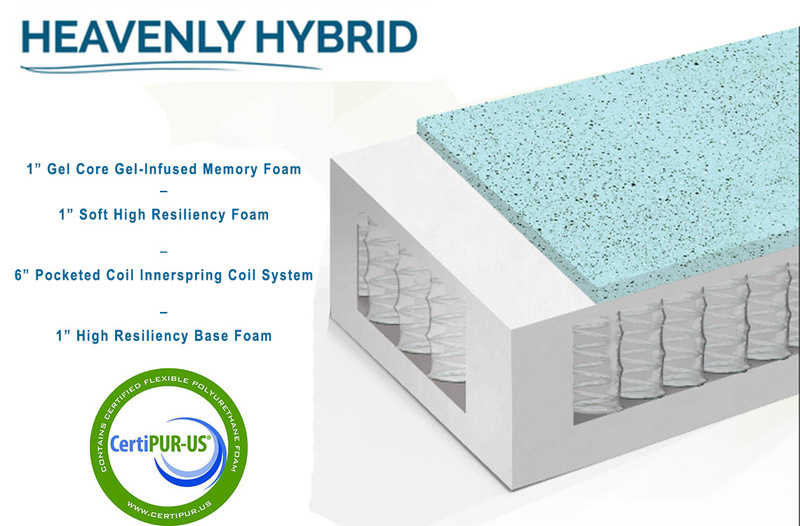 Gel-Infused memory foam helps to dissipate heat from the mattress, 6" individually-wrapped pocketed coils provide contouring support and high resiliency foam combine to create a wonderful sleeping surface for nearly anyone. The previous model ("The Heavenly Gel") was our best-selling memory foam mattress and this new and improved model has taken its place. Its feel is a medium-firm. If you would like to have the benefits of both a spring mattress and a memory foam mattress, this would be an excellent pick. Free shipping that is fast and convenient on all Bed Boss mattresses, as well. The Bed Boss is the absolute leader in providing high quality memory foam mattresses at exremely low prices. 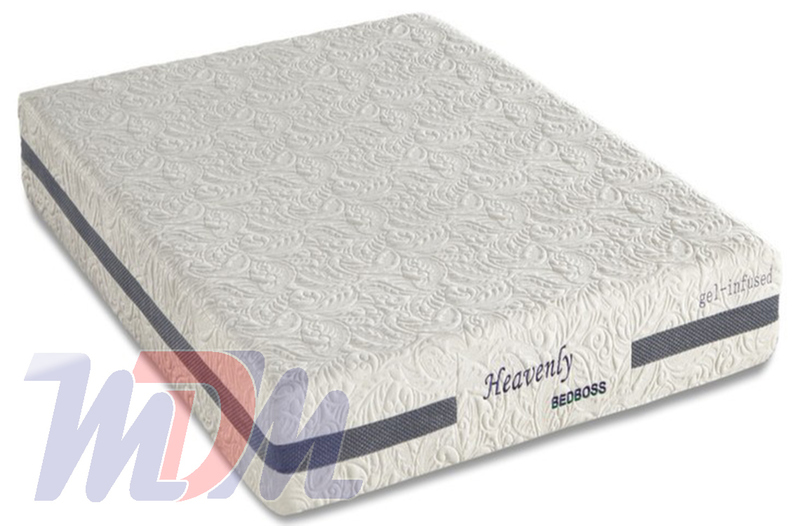 What they did with this particular model is even more surprising than anything in the past: They added a pocket coil to the already-popular "Heavenly" mattress (making it a Hybrid) and lowered the cost!!! This is definitely medium-firm, body-contouring, gel-infused luxury at a fraction of any comparable mattress in the industry! Side-sleepers will likely prefer the feel of the new Hybrid version of the mattress - over the less-responsive memory foam model of the past. People who prefer to have just a bit of a bounce to their bed (like with conventional spring units) will also find something additional to like about this model. Just like with all mattresses by The Bed Boss, your mattress is delivered to your door (compressed) in 3-5 business days from ordering. This drop-shipping method not only saves you time but the freight cost that is normally worked into the price of a conventional mattress. Also, this mattress is CertiPUR-US certified and is partly composed of plant oils. This may be the best value mattress that Michigan Discount Mattress has ever featured!